Do you ever wish you could turn back the clock and be as healthy and vibrant and full of energy as you were when you were younger? 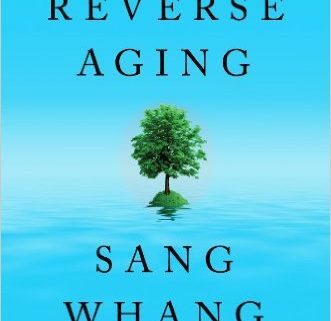 In this Water Wednesday episode we discuss the book Reverse Aging by Sang Whang and how it can help you. Don’t have time to watch? Scientific terms are explained in very straightforward and easy to understand language in this book. The basic theory that Whang proposes is that aging and death by natural causes are a result of acid buildup in the body and that we can live longer and be healthier by detoxing the body through things like ionized alkaline water and FIR technology. Grab your copy of the book here. New Videos: Unboxing the Chanson Royale Ionizer + Will it Fit Under My Sink? Here are two new videos for our newest machine, the Miracle M.A.X. 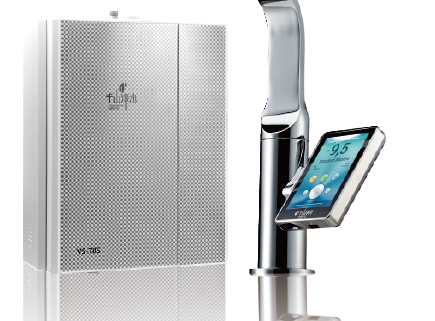 Royale 7-plate undercounter water ionizer. Don’t forget, the Royale is an amazing top-of-the-line ionizer that comes with over $800 in free bonuses for a limited time. You’ve heard it before and I’ll say it again: water is an integral part of any weight management program. Let me count the ways. Drinking a glass or two before a meal can help you consume less. By sipping throughout the day instead of reaching for an unhealthy snack, you can avoid hunger pangs. In fact, much of the time when we feel hungry we are actually thirsty! So next time you feel hungry, try reaching for a glass of water instead. That’s right. When we drink cold water our bodies have to work to get that water up to our body temperature, and can burn up to 23 calories per 16 oz of cold water. When we choose water over other beverages like soda and coffee, we are cutting down on the empty calories we would otherwise consume. Studies show that flavoring your water helps you drink more water, so try adding lemon, lime, or therapeutic-grade essential oils to your water. Water–particularly ionized alkaline water from a water ionizer–can help flush toxins and fat from the body which would otherwise be stored. We need to be drinking a minimum of half our body weight in ounces daily just to replace the water lost through normal bodily functions. When we drink more than the minimum we are providing our body with water to flush out unnecessary toxins. When we are dehydrated our energy levels dip and our muscles can cramp, making it hard to work out. Because exercise is such an important part of weight management, we need to stay properly hydrated in order to get the most out of our workouts. The more we make water part of our daily routine, the more we will start to reprogram our taste buds to crave healthy foods. Ionized alkaline water is particularly effective at this, and can also help you crave more water. Unlike other waters, it won’t leave you with a bloated or waterlogged feeling and can hydrate you on a cellular level. While not everyone who has switched to ionized alkaline water from a Chanson water has experienced weight loss, on average users report losing 5-10 pounds. Water ionizers make the alkaline minerals in your tap water more bioavailable, which can nourish your cells and provide the right conditions for your body to release stored fat. According to the U.S. Centers for Disease Control and Prevention, more than 795,000 Americans have a stroke every year, and nearly 130,000 die as a result. The vast majority of strokes occur when a clot blocks blood flow to a portion of the brain, and dehydrated people are more at risk due to increased thickness in the blood. A new study by Dr. Mona Bahouth of Johns Hopkins Hospital in Baltimore suggests that those who are dehydrated at the time of a stroke are about four times more likely to have a worse outcome than those who are well hydrated. Data was collected from nearly 170 people who had ischemic (clot-related) strokes at Johns Hopkins Hospital from July 2013 to April 2014. About 44% of them were found to be dehydrated. Hydration levels were measured using the BUN/creatinine ratio which shows how well the kidneys work, and urine specific gravity, which tests urine concentration. Researchers found that stroke effects either worsened or stayed the same in 42% of dehydrated stroke patients, compared to 17% of hydrated patients. Chronic dehydration affects about 75% of the American population and is the hidden cause of many ailments. When we are properly hydrated, our bodies function better on all levels. Proper hydration is considered drinking a minimum of half your body weight in ounces daily. 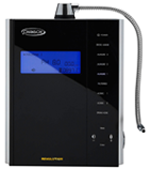 Ionized alkaline water from an electric water ionizer is super charged and can hydrate at a cellular level. By staying properly hydrated we may be able to safeguard against stroke or minimize the damage of stroke. Acidosis is probably the most common issue affecting Americans today, yet few truly understand it. Many mislabel it with some of the common symptoms such as “dehydration” and “fatigue.” But once you understand how the body works, the source of the disease becomes clear: over acidification of the body. In this video, Chanson Water CEO Nedalee Thomas explains what acidosis is, how it happens, and what you can do about it. Don’t get caught up in the hype of misleading marketing. Do your due diligence when researching the different water ionizer companies and determining which is right for you. And please don’t hesitate to contact us if you have any questions we can help answer. As you may have already heard, Ebola can survive on dry surfaces such as doorknobs and shopping cart handles for several hours. So as the world waits for an Ebola vaccine (which will no doubt contain toxic chemicals that acidify the body), what are we to do to reduce our risk of contamination? The CDC’s advice boils down to this: frequent hand washing. We have not tested our water against the Ebola virus because, as crazy as it sounds, the Ebola virus has been patented by the U.S. government. As such, it would be illegal for us to do scientific testing on Ebola without express written permission. 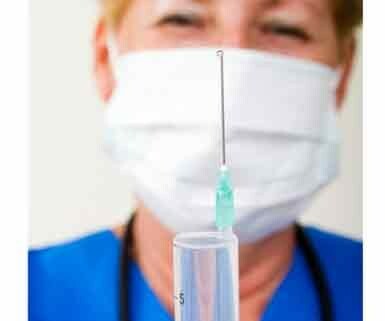 Permission we’ll never get, because the FDA regulates that only a drug can treat, cure, mitigate, or prevent a disease.